Description PRICE DROP FROM $16,200, EPA 36 MPG Hwy/23 MPG City! 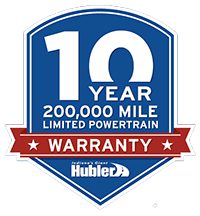 Hubler Q Certified, GREAT MILES 31,088! S trim. Heated Leather Seats, Satellite Radio, iPod/MP3 Input, Bluetooth, Back-Up Camera, TRANSMISSION: 9-SPEED 948TE AUTOMATIC... CLICK NOW! Leather Seats, Back-Up Camera, Satellite Radio, iPod/MP3 Input, Bluetooth, Aluminum Wheels, Heated Leather Seats MP3 Player, Keyless Entry, Child Safety Locks, Steering Wheel Controls, Electronic Stability Control. COMFORT GROUP Front/Rear Climate Control Outlets, Heated Front Seats, Rear View Auto Dim Mirror w/Microphone, Rear A/C & Heat Ducts, Air Conditioning ATC w/Dual Zone Control, Sun Visors w/Illuminated Vanity Mirrors, Remote Start System, Heated Steering Wheel, Humidity Sensor, ENGINE: 2.4L I4 MULTIAIR (STD), TRANSMISSION: 9-SPEED 948TE AUTOMATIC (STD). Chrysler S with Bright White Clearcoat exterior and Black interior features a 4 Cylinder Engine with 184 HP at 6250 RPM*. KBB.com explains "Steering is extremely precise and the handling is better than most in this class.". Great Gas Mileage: 36 MPG Hwy.